Supernal terror greets the calendar’s arrival on the Vulcanalia – or the 23rd of August, a chilling sense memory of forgotten anniversaries and lost worlds. Woe to we unlucky few, when the question raised by that hated phrase- “for whom the bell tolls?” – may only be answered by glancing in a mirror. In that moment, when an abominable eidelon of degenerate appearance appears within the framed glass, remember 1967 and 1968. Realizing, some days ago, that this year’s anniversary of that annum horriblum was once more upon us- and worse still- that the abundance of cemeteries which garland the Newtown Pentacle would provide ideal conditions for a virtual army to form up virtually undetected. In the name of the community at large, I contacted expert advice, hoping to gain some reassurance that those events of the winter of 1967 and spring of 1968 which played out in the back woods of Pennsylvania would not be repeated. Into balls of crystal was the gaze of a humble narrator cast. Radio reports explain that an epidemic of mass murder is sweeping across the eastern seaboard. The creatures are consuming the flesh of their victims. A subsequent broadcast reports that the murders are being perpetrated by the recently deceased who have returned to life, dubbed ‘ghouls’. Experts, scientists and military are not sure of the cause of the reanimation, but one scientist is certain that it is the result of radioactive contamination from a space probe that exploded in the Earth’s atmosphere. A final report instructs that a gunshot or heavy blow to the head will stop the ghouls and that posses of armed men are patrolling the countryside to restore order. 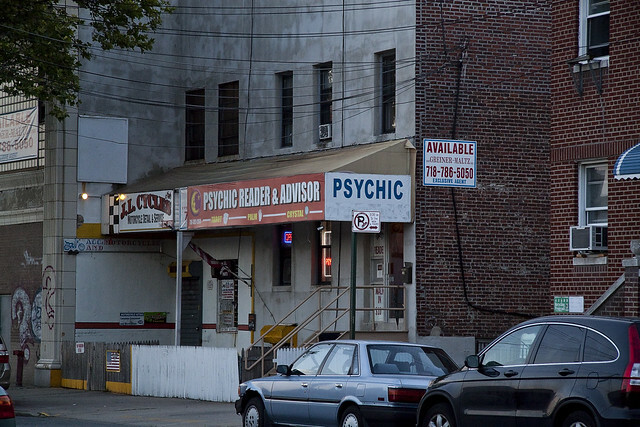 The Roma woman who read my tea leaves in her store front chapel began to sweat profusely when my query for divination was put forward. “Who asks such things?” she said, and told me to leave. Oddly, she threw a broom down on the floor and spit upon it, while performing a wild gestural dance with her hands. I think that she may have been flashing me some kind of “gang sign” but I’m not that into Hip-Hop, so I don’t know. 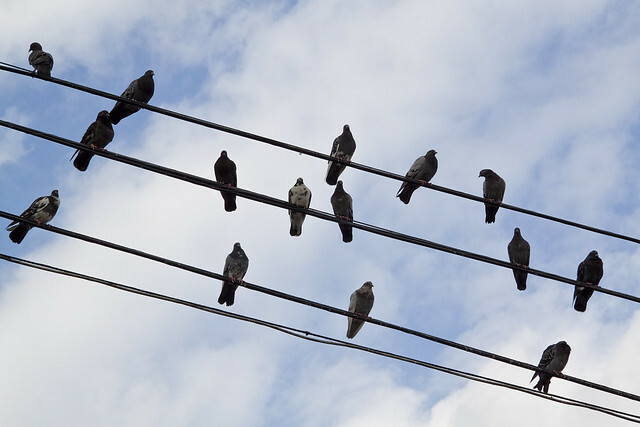 Cursing my inability to interact with my fellow travelers upon this mortal coil, I decided to visit with a group of birds in Astoria whom I believe are attempting to communicate with us via a language of musical notation. Whether they are agents of an external sentience or have developed some sort of telepathic group mind, I cannot say, however when a question is put to them the entire flock will rearrange themselves into different patterns. Strange, unfortunately- another of my deficiencies is the ability to read musical notation. According to the tenets of Vodou, a dead person can be revived by a bokor, or sorcerer. Zombies remain under the control of the bokor since they have no will of their own. “Zombi” is also another name of the Vodou snake lwa Damballah Wedo, of Niger-Congo origin; it is akin to the Kikongo word nzambi, which means “god”. There also exists within the West African Vodun tradition the zombi astral, which is a part of the human soul that is captured by a bokor and used to enhance the bokor’s power. The zombi astral is typically kept inside a bottle which the bokor can sell to clients for luck, healing or business success. It is believed that after a time God will take the soul back and so the zombi is a temporary spiritual entity. It is also said in voudou legend, that feeding a zombie salt will make it return to the grave. 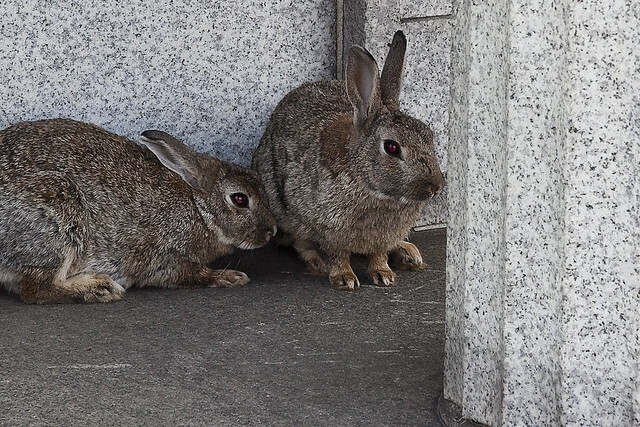 At Calvary Cemetery, whose hallowed ground will most likely (and paradoxically) be the safest location in the Greater City if events unfold like the flower of some loathsome Lily, the Groundling Burrowers were consulted. It is whispered that is they who convey the messages of the living to the underworld, and that sometimes they will bring something back to the surface from those below, if the right sort of payment is offered. Costly, their price is paid nevertheless and assurances were offered by certain subterrene potentates who would prefer to remain anonymous that this would be a year like any other. But, all rabbits are tricksters, even the demonic kind. The zombie apocalypse is a particular scenario of apocalyptic fiction that customarily has a science fiction/horror rationale. In a zombie apocalypse, a widespread (usually global) rise of zombies hostile to human life engages in a general assault on civilization. Victims of zombies may become zombies themselves. This causes the outbreak to become an exponentially growing crisis: the spreading “zombie plague/virus” swamps normal military and law enforcement organizations, leading to the panicked collapse of civilian society until only isolated pockets of survivors remain, scavenging for food and supplies in a world reduced to a pre-industrial hostile wilderness. The literary subtext of a zombie apocalypse is usually that civilization is inherently fragile in the face of truly unprecedented threats and that most individuals cannot be relied upon to support the greater good if the personal cost becomes too high. The narrative of a zombie apocalypse carries strong connections to the turbulent social landscape of the United States in the 1960s when the originator of this genre, the film Night of the Living Dead, was first created. 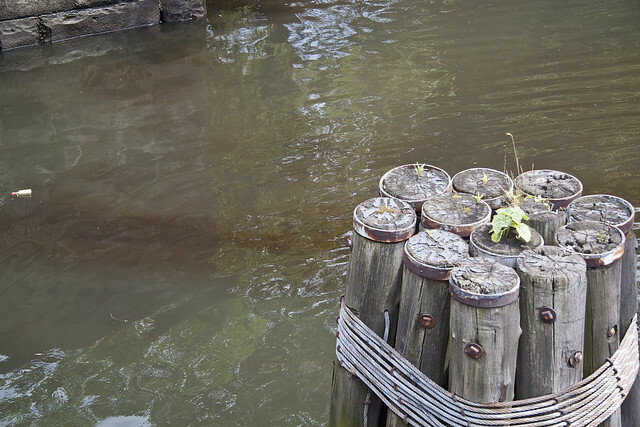 Finally, “that which might exist down there”- swirling about the shadowed bottom of Dutch Kills, in the oneirontic clays and black mayonnaise which distinguish the soft bottom of all the tributary waterways which connect to the lacerated flow of the Newtown Creek- was consulted. From a throat whose gentype and phyla is not speculated upon, suspected, or even proposed to exist- an unknowable, indescribable, and unguessable gelatin approximation of human speech – voiced in a manner which one does not hear, but instead perceives from a series of monotonous sense impacts- spoke. Apparently, we’re going to be OK today. All sources agree that the Zombie Holocaust will not begin anew in 2010, on this 42nd anniversary of the famed “Night of the Living Dead”. And writing this post on my Birthday is a little present to myself, just in case you thought I’d finally gone off the deep end of the Creek. Zombieland rule # 32 applies.